Dave is located in Oceanside, California and is a co-founder of TPI. 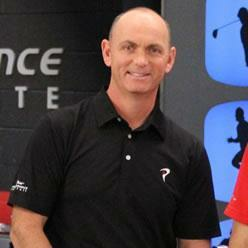 He is also a member of the PGA of America and has devoted the past 25 years to becoming a world-class instructor. He is rated one of the Top 100 Teachers in the country by Golf Magazine and Top 50 by Golf Digest. TPI was developed by Dave Phillips and Dr. Greg Rose with the goal of creating the world's first true golf performance facility that looked at every aspect of a players game, from equipment fitting to biomechanics and the human body. As TPI developed it became evident that the information that was being obtained from working with the game's best should be passed on through education and the TPI Certified Brand was born to educate golf, fitness and medical professionals. Since the start of the education seminars in 2006 there are now close to 15,000 TPI certified experts in 58 countries around the world. The TPI certifed brand is the largest of its kind in the world and those certified experts have helped the games of hundreds of thousands of recreational golfers. Dave frequently appears on the Golf Channel as a co-host of the Golf Fitness Academy and Titleist Performance Institute Television shows, broadcast in 77 countries over an eight year time frame. Dave has also written articles for Golf Magazine, Golf Digest, Sports Illustrated and Mens Health and is a sought after public speaker that has lectured throughout the world on golf performance. Dave and his family live in San Diego, California.